While the Nike SB Dunk High might not be as hyped up as it used to be, there is something to say about just how iconic these shoes are. There have been plenty of great colorways over the years that have gone on to see a huge spike in their value. Some sneakerheads may have moved on to other things, but the OGs still care when a new Dunk High makes its way to the market. 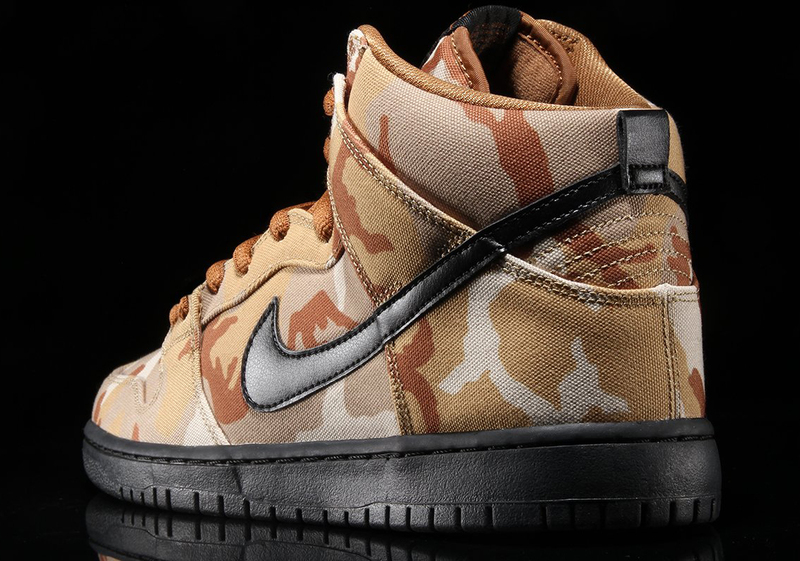 For those who like to indulge in the Nike SB line, you'll be happy to know that a brand new colorway of the Dunk High came out today, this time in a "Desert Camo" offering. Aside from a black midsole and Nike swoosh, these kicks are completely camoed out. The upper is dressed in various shades of brown, giving the shoe a nice woodland aesthetic. 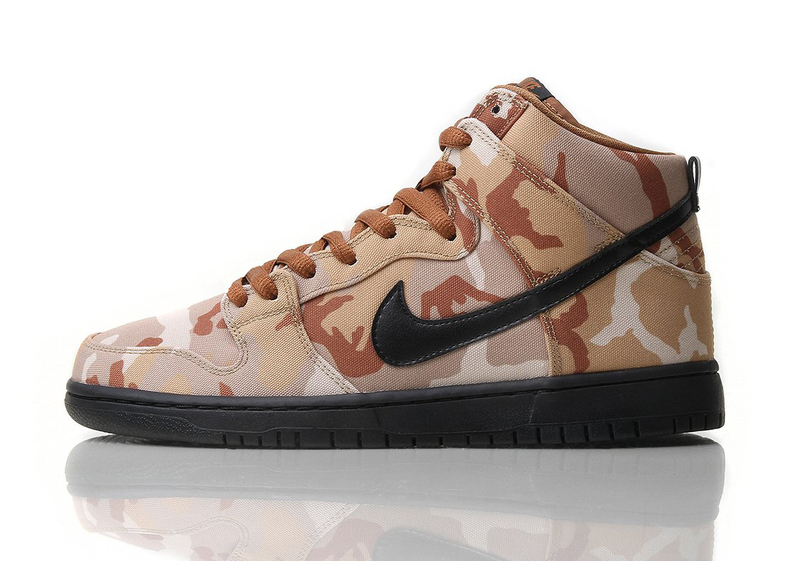 Usually, skaters don't really need camouflage but who knows, if you like to go hunting in some Dunk's, these will be the ideal sneaker for you. For those who want to purchase these, they are currently available at Nike SB retailers such as Premier. If the price point is ever an issue, fear not, as these come in at a cool $100 USD.